Over the years, Davis facilitators have developed several methods for teaching this control. The most common way is Davis Orientation Counselling, and is described in detail in the book The Gift of Dyslexia by Ronald D. Davis. Using this technique, the individual learns to move his mind’s eye mentally to a different vantage point until he finds the optimum point for focusing attention. This optimum point is called the orientation point. Individuals who have difficulty with the visualization approach can achieve the same effect through a kinesthetic approach, called Alignment and Fine Tuning. Both are followed by an auditory approach called Auditory Orientation. Resolving disorientation is necessary before the individual can progress. In a disoriented state, an individual is not fully present in the real world, and thus is “not paying attention”, or experiences attention deficit disorder. While all dyslexics disorient when doing any reading or writing, individuals with ADD disorient so much that it has become their natural state most of the time. Because perception is inaccurate during disorientation, one’s sense of time can be affected, resulting in hyperactivity or hypo-activity. Therefore, orientation is the first step toward control of those time shifts, helping an individual learn to control activity levels. However, learning to control disorientations does not resolve the behavioural problems associated with ADD. All that will do is resolve a key symptom of ADD, not the underlying cause. Until you fix the cause, the symptoms will inevitably recur. The reason that controlling disorientation is not enough to resolve ADD is that there are several concepts necessary to successful functioning in our world that are missing, or only partially understood, by those with ADD. These concepts need to be mastered so they can be incorporated into the identity of the individual, and thus used by her when thinking or making decisions. 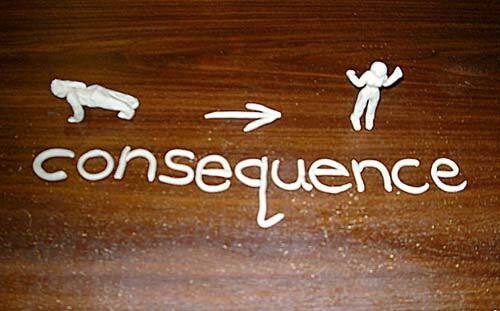 The concepts are: change; consequence; before and after; cause and effect; time; sequence; and order versus disorder. The reason these concepts are lacking in individuals with ADD is they cannot learn them thoroughly while disoriented. For example, there are no consequences in a disoriented state. If a person doesn’t like what is happening in his imagination (disorientation), he simply changes it. Similarly, there isn’t any real sequence, as the mind/imagination can move forward, backward, or sideways in time. Many people with ADD do not have a good understanding of change. They will therefore be strongly resistant to change, or seem to be in a constant state of stirring things up, seeming to require constant change. Once they GET that change is a normal and inevitable part of life, they are able to relax about it, and use or experience change appropriately. Because consequence is usually missing in whole or in part in individuals with ADD, they will have a difficult time predicting the consequences of their behaviour, and thus act “impulsively”, or without thinking. Once they really GET consequence, they can begin to think with that concept, and use it to guide their behaviour.